Tom Flatley, a man of few words and many wins, has announced his retirement as the iconic football coach at Garden City High School after 30 years of unmatched excellence. 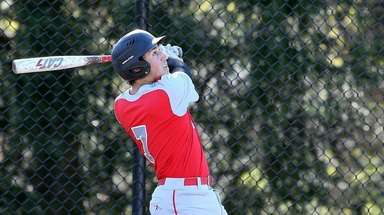 "I enjoyed the on-the-field part, but not the off-the-field part," Flatley, 75, said Monday after informing school officials of his decision. He notified his players after school Tuesday. His .849 winning percentage is the highest in Long Island history and his 264 victories (against only 44 losses and seven ties) is the second-most, 100 behind the late Howie Vogts of Bethpage. "It was getting tougher. It's a longer season and I was getting tired." Flatley's straight-faced, sometimes stern demeanor did not reflect the pleasure he derived from his success and from the lasting relationships he developed with his players. "The kids know that I don't smile a lot. A picture of me smiling is a rarity," said Flatley, who in 2013 was inducted into the New York State Public High School Athletic Association Hall of Fame. During his coaching tenure at Garden City from 1985-2014, Flatley won four Rutgers Cups awarded to the best team in Nassau County, five Long Island championships and 18 Nassau conference titles. His last LIC was a come-from-behind 29-16 victory over Riverhead in 2012 that he ranks among his favorites because the Trojans had lost nearly all their starters from the previous season and were not expected to contend for, much less win, a title. 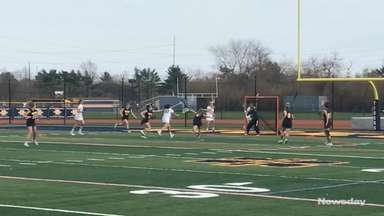 "We came from behind and totally outplayed them in the second half," Flatley said. "Winning the Long Island championship against schools that were bigger [in enrollment] than we were was satisfying. I had a lot of good kids willing to work hard." But Flatley didn't work his players as hard as some of his peers, utilizing shorter practices and not enforcing year-round football workouts. "The kids did the weightlifting on their own. We didn't make any demands or have any rules about it," he said. "We never had practice in the spring or summer and didn't participate in those 7-on-7 tournaments. We started practice in mid-August. That's why our teams always got better as the season went on." 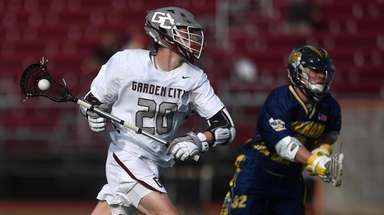 Garden City assistant football and head lacrosse coach Steve Finnell, who played both sports in high school for Flatley, marveled: "As a player you felt like you had the answers to the test going into the game. You were so well prepared. You felt ultraconfident because of his preparation. It gave you that edge. You knew what the other team was going to do before they did it." Finnell called Flatley "an intelligent man, a gentleman who respected his players and his opponents," and pointed out that though Flatley may have appeared rigid to outsiders, "he was a lot more creative and flexible than people think." For example, Finnell wondered: "Has any Long Island coach won championships with so many different offenses? We won the LIC using the veer, the power-I, the wing-T, the spread. To win with so many different looks is remarkable. Coach Flatley's ability to change and do what's best with his personnel was incredible." Some things, however, remained unchanged. The trademarks of Flatley's teams were mobile, stingy defenses, precise offenses that did not turn the ball over and expert special teams. An old-school quick kick from the shadow of his goalpost helped the Trojans win the 2009 LIC. "I like to think we were always prepared to play," said Flatley, considered a savant when it came to breaking down and analyzing game video. "We didn't lose any games because we were unprepared. Sometimes, we were outmanned." He acknowledged that was the case in his final two seasons. 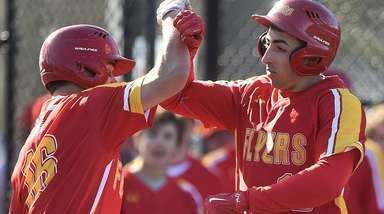 The Trojans went 9-2 in 2013 and 2014, with all four losses -- two in the regular season and two in the playoffs -- coming against unbeaten county and Long Island champion Carey. No successor has been named yet for Flatley, a retired social studies teacher at Sewanhaka High School who enjoys hunting and fishing at his second home in upstate New York. 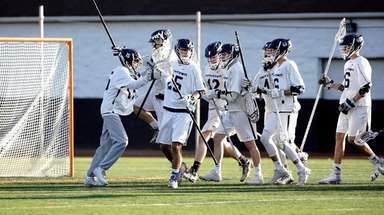 He said he intends to continue coaching junior varsity lacrosse at Garden City, where he has compiled a remarkable 385-33-2 record since 1988. "That's still very easy for me," Flatley said.